I'll be launching my fabrics by the panel/metre at The Makers & Shakers ... plus I'll have a small selection of printed tea towels. Come early for the great locally made treats .... they sell out fast! 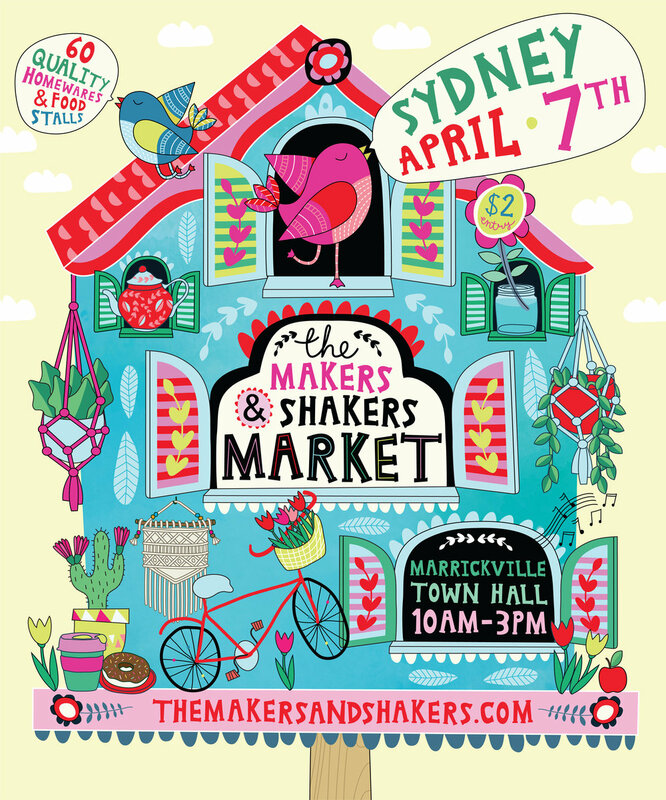 The market is on from 10am - 3pm, Marrickville Town Hall, Marrickville Rd.